This is a four day course giving an in depth study of the events surrounding the life of the Prophet ﷺ‎ from before his birth until the migration to Madinah. The study will not be a mere narrative but we will learn many lessons from the Sirah which we can apply in our everyday lives. Why study the life of the Prophet Muhammad ﷺ‎ Makkah Phase? Sirah teaches us the meaning of the Qur’an. Sirah shows us how the Prophet ﷺ‎ trained his companions. We learn how best to interact with different situations in life: individually, in our families, and as societies. Sirah brings about comfort and peace to the hearts. We see how the Prophet ﷺ‎ and his companions faced very difficult trials and how they faced them. When calling others to Islam, Sirah shows us how best to engage with others. By studying the Sirah, we can defend the honour of the Prophet ﷺ‎. 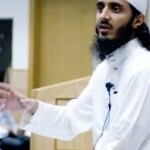 Shaykh Abu Abdissalam was born in Coventry and was raised in London. He joined Dar Al-Hadith Al-Khayriyyah in the blessed city of Makkah and obtained a degree in Islamic Studies specialising in Hadith and its Sciences. During his time there, he studied under a number of prominent scholars of our time. During the course of his studies he has acquired ijazas for all of the six major books of Hadith. In addition, he also has Ijaza for the Sharh of Aqidah Tahawiyyah. He makes appearances on several television channels worldwide including Islam Channel, Huda TV and Islamic Network TV and is an instructor for AlKauthar Institute and a member of iERA. The Life of the Prophet ﷺ‎. Copyright © 1998-2013 Islamic Network. All Rights Reserved. Ihsan Institute and Islamic Network are trademarks of Islamic Network.